SHANGHAI, November 5. /TASS/. Sanctions and the policy of protectionism have become a reality of the global economy, but there is a need to find new growth points and build an open space for mutually beneficial cooperation, Russian Prime Minister Dmitry Medvedev said at the opening ceremony of the first China International Import Expo in Shanghai on Monday. Medvedev, who is on an official visit to China, pointed to the wide scope of the exhibition, which involves 130 countries eager to demonstrate their economic abilities and discuss the prospects for global trade. "There is certainly a need to discuss them. We are facing common tasks - to find new sources of growth for global economy and create an open space for mutual cooperation, free of pressure, sanctions and protectionism, which unfortunately have become a reality of the global economy that we cannot turn a blind eye to," Medvedev said. 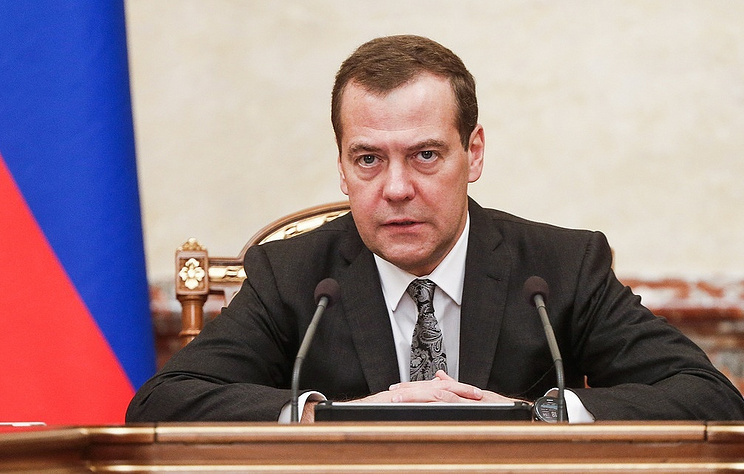 The Russian prime minister stressed that trade must be based on free competition and the free movement of goods, services, people and capital. Medvedev noted that it was the principles the both Russia and China abided by. "We welcome our Chinese colleagues’ commitment to long-term partnership and the establishment of trade ties mutually beneficial for all," Medvedev added. On behalf of Russia, he thanked China for the invitation to take part in the exhibition as a partner country. The prime minister noted that the Shanghai event offered a good opportunity to show the potential of Russia’s economy. In this regard, Medvedev mentioned that dozens of companies from 40 Russian regions were participating in the expo.